GAS IT straight UK LPG fillpoint - GAS IT Leisure Gas Bottles, Gas Cylincers and Gas Tanks - Catering, Motorhome, Campervan, Caravan, Farrier and Road Repair Refillable Gas Solutions. BUY GAS IT Refillable Products Here. This is a UK high quality Straight fixed bayonet fill point. Designed to either be used with the 70mm recessed fill box or on a tow bar or under a vehicle using the Angled Fill bracket here in our shop. 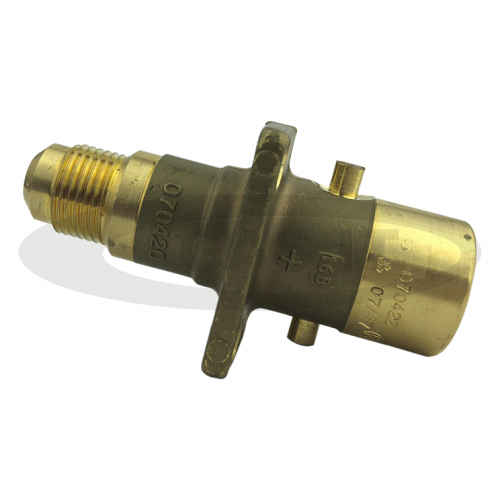 Designed to be used with the SAE E67.01 Specification hoses available in our shop. Most GAS IT EASYFIT 15 ltr tanks are bolted directly through the floor but did you know we also sell a future proof demountable bracket system for the 15 ltr EASYFIT tank to make the install even easier? Contact details in an Emergency. We are supporting the UK services and personnel that support us all in the U.K. and the rest of the World. New 15 ltr GAS IT EASYFIT 4 Hole Vapour Tank with Remote Electric or Manual Outlet Options NOW IN STOCK. Free upgrade of GAS IT 11kg bottles to GAS IT Plus bottles in all our kits. This website and its contents is Copyright © N & A Farrow 2001 - 2018. Copyright is respected to all rightfull owners within this website.